Treasurer report on finance figures will be available on the night. Our 2nd place winners! Fought bravely through to the final – well done to our Kerslake Cup 2016 heroes. All of the fixtures including venues and start times are on the calendar on the fixtures page. You can use this to add them to your own electronic calendars to save writing them all down – unless you like writing them all down, not judging! Hello and welcome to another year at the Heath Badminton Club. Following the AGM and the Finals’ Night, I thought I’d provide you all with a brief update. If you have any questions, queries or comments relating to the Heath Badminton Club, please contact the relevant member of the Committee above. If there are issues you would like discussed at a Committee Meeting, please forward these to Gwyn, as Club Secretary. The Committee are in the process of establishing the teams and players for next season: therefore, you may receive correspondence from the various captains regarding this, if you can respond as requested regarding your availability. Information regarding teams and selection will be sent out to Club members in due course. Again, my thanks to all of you for supporting the Club. I am approaching my 60th birthday but rather than have a birthday bash I am cordially inviting everybody to the Tom Maynard Trust cricket match to be held at St Fagans on the 7th August, 2015. Matthew his father is bringing a team of celebrity cricketers to play the St Fagans 1st team who play in the South Wales Premiere League. Should you wish to attend the pre match lunchtime banquet you will need to stump up £55. If you are interested in the lunch you need to get the £55 to me asap. Otherwise bring your own hampers sit on the outfield and watch the cricket. Bars at the ground will be open both afternoon and evening and even if you can’t get the avo off come up after work for a couple of shandies. With a bit of luck we should be able to get a bit of a gymanfa going in the evening. Those who attended the karaoke last year, (supplied famously by the Gutteridges – thanks again) will testify what a great place it is to have a drink. Just a reminder that St Fagans is children friendly – Isobel only covered her mother Rachel’s ears a couple of times during the karaoke 🙂 – loads of room for kids to run around and even baseball is allowed!! Its that wonderful time of year – club tournament! All the dates and details are listed in the fixture calendar. Be there 7pm sharp to ensure your name goes in the hat. 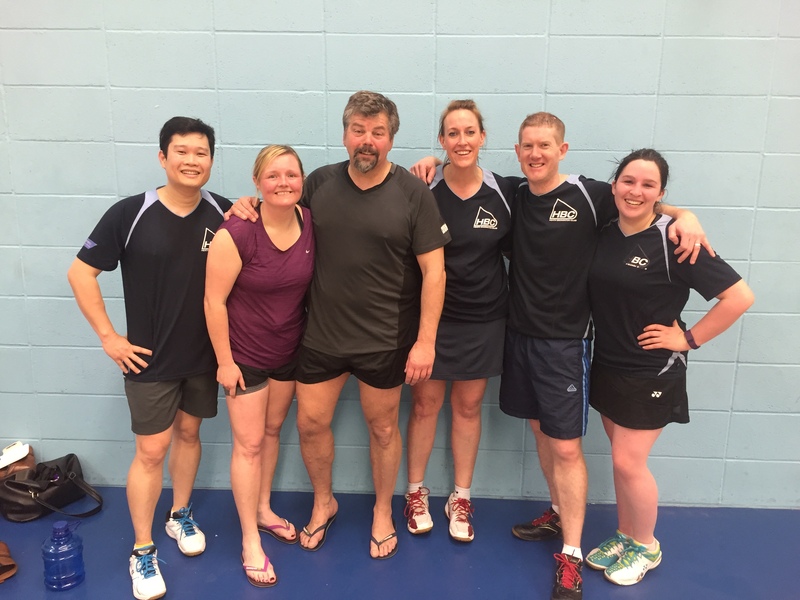 Finals night is on 30th June – always a bundle of laughs with some badminton thrown in. The club AGM will also take place. Most importantly – remember to bring food.